The weather is awful today. It’s cold and it rained last night so the ground is covered in ice. There is something about the terrible Kansas weather that always makes me think of spring and digging in my pots (I do container gardening). And while my thumb is only partially green, I seriously love my gardening. There’s nothing like picking your own fresh vegetables or looking at the flowers swaying in the breeze. These gardening adventures can be enhanced by our own tea drinking. Tea leaves have lots of good nutrients that are wonderful for fertilizing your garden, either in the ground or, like me, in pots. 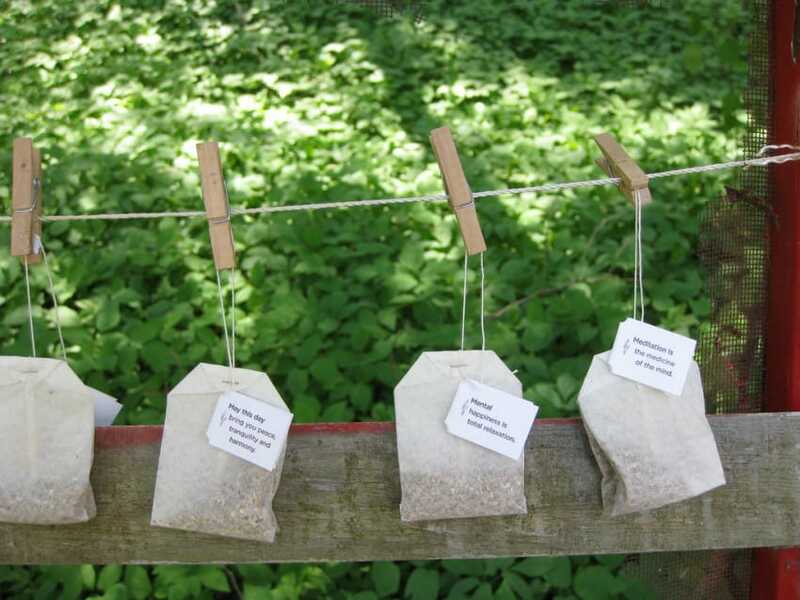 Old tea bags that are biodegradable or your grounds themselves can be placed at the bottom of the planting hole and they will help to fertilize your plants. For acid loving plants, such as hydrangeas, you can sprinkle the used leaves directly on the ground around them. These wonderful castoffs can also be used in compost or mulch as well as be used to fertilize indoor plants. Again, just be cautious not to compost tea bags that won’t decompose. If they are slick when wet, then they are at least partially nonbiodegradable, and you might consider throwing the bag itself away and just using the leaves inside. Cat’s don’t like them, and if you are having trouble with cats staying out of your garden – or in my case out of the pot of my 40+ year old Norfolk Pine – used tea leaves sprinkled over the dirt will deter future visits. Snails and slugs don’t like them either and will go find other places to eat and leave disgusting slime trails. Weeds don’t like tea leaves either. Planting your tea bags/tea leaves in the garden will deter weeds from growing there. In potted plants if placed at the bottom the pot they help with water retention, and as we’ve mentioned all those good nutrients will leach into the soil during waterings. I will be trying this this year. Has anyone already used tea leaves/bags in their garden? I’d love to hear about your experiences.